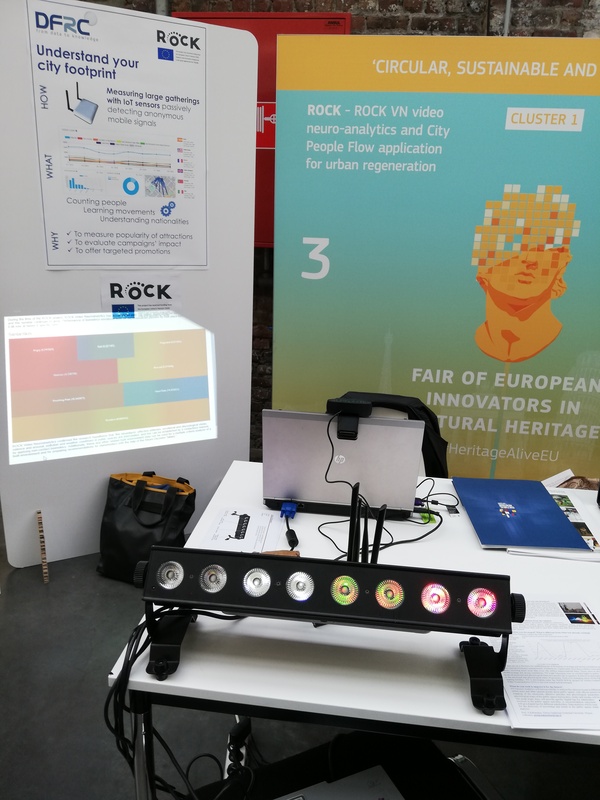 Our ROCK project had a central role at the Fair of European Innovators in Cultural Heritage celebrated in Brussels last week, on 15th and 16th November! 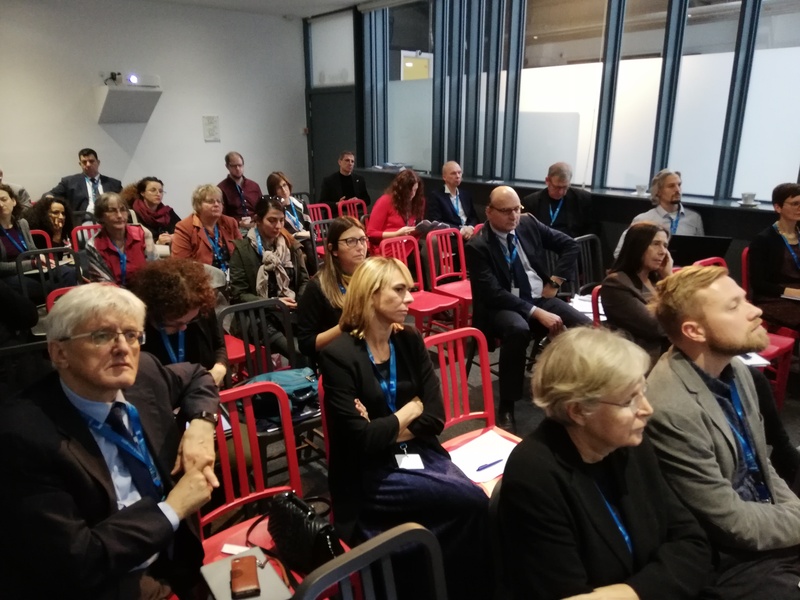 The European Commission organised this event to highlight its priority to promote research and innovation in cultural heritage, gathering a variety of stakeholders interested in discovering the outcomes of around 40 projects funded by the EU. Proving that technology is central for the future of sustainable cultural heritage, ROCK partners VGTU and DFRC showed the results of their tools applied to urban regeneration, tested in the course of the ROCK project: the Video Neuroanalytics Database and LBASense tools. These tools were also presented in the Creative and Sustainable Solutions for Urban Regeneration Breakout Session, where ROCK coordinators took part in. 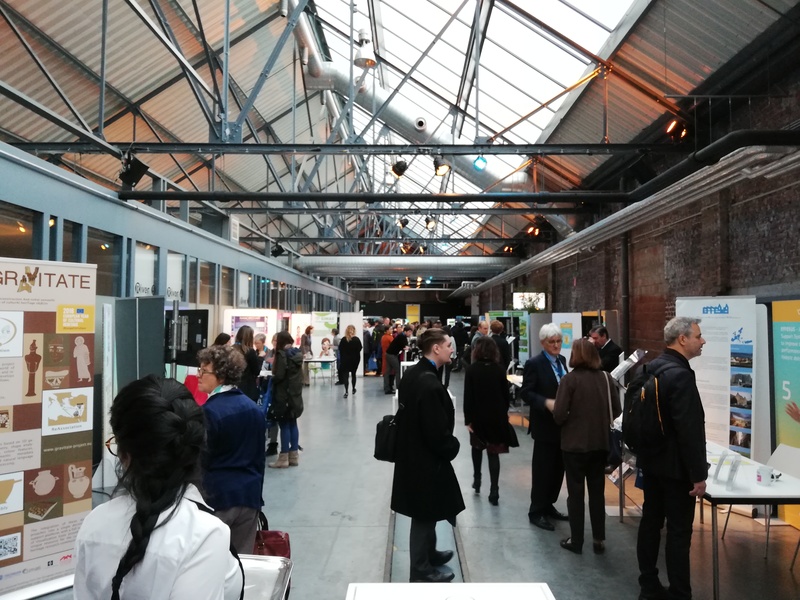 Continuing on our path to connect related projects, the second ROCK Exchange workshop organized by ICLEI and EUROCITIES, took place on the morning of the 16th, under the framework of the Fair of Innovators. 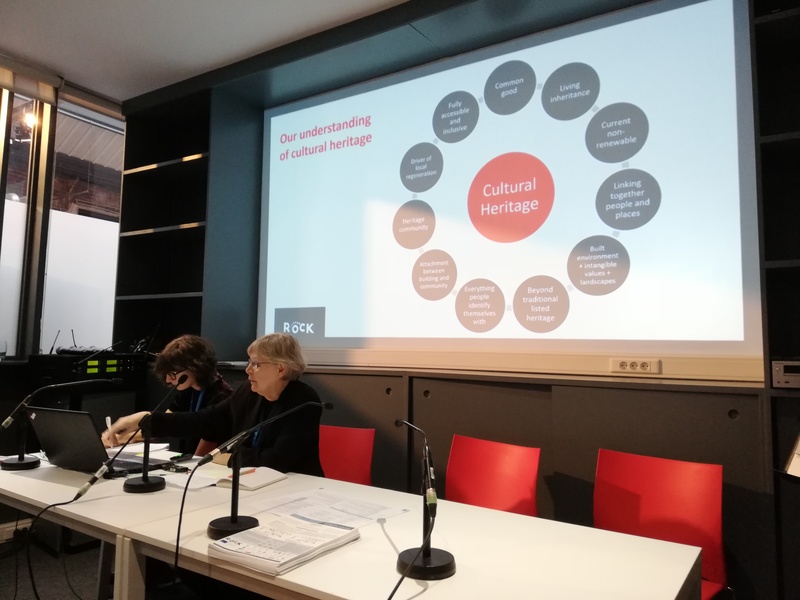 It aimed at to following up the process initiated in Berlin in June 2018 during the European Cultural Heritage Summit, where several H2020 cultural heritage projects convened and started sharing knowledge and findings. The main objective of this second workshop was to further discuss with the projects how to build on their experience and articulate a common position paper with recommendations for the new Partnership on Culture and Cultural Heritage of the Urban Agenda for the EU. Maciej Hofman from DG EAC and Laura Hagemann Arellano from DG Regio opened the session providing a general overview of the EU cultural policies and the Urban Agenda for EU. 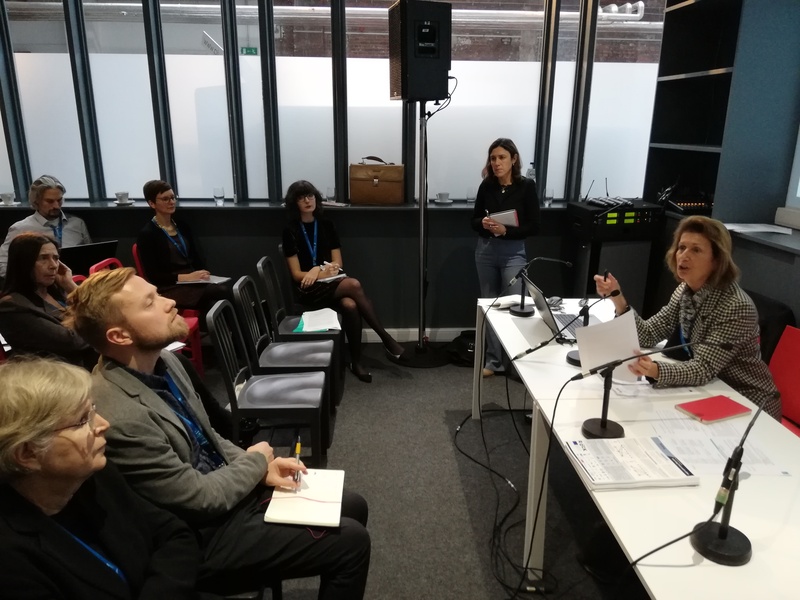 Members from ROCK Multi Actor Board Catherine Cullen and Cristina Sabbioni then moderated an interesting discussion about the projects´ understanding of cultural heritage and their recommendations for the Partnership, which will help finalize the position paper. 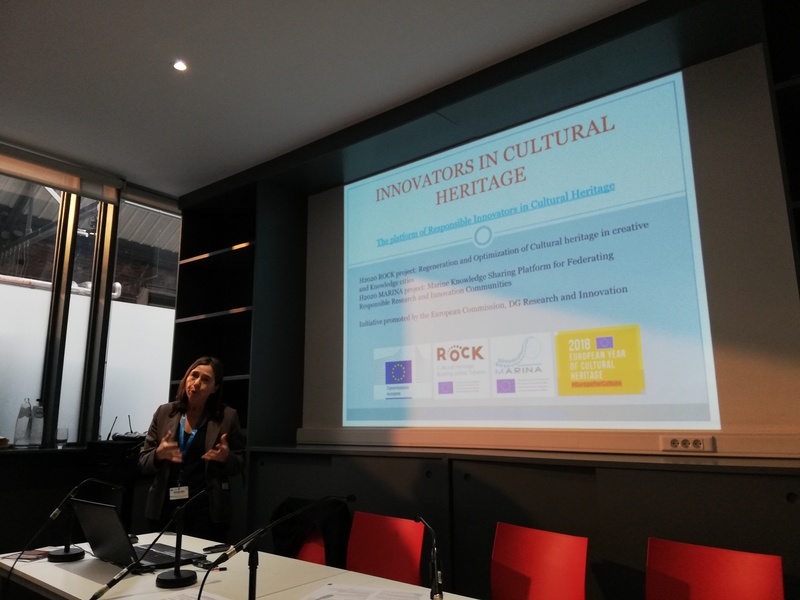 A key moment of the Fair was the launch of the “Innovators in cultural heritage” http://www.innovatorsinculturalheritage.eu/ platform, presented by Antonella Fresa from ROCK and REACH projects. Developed within ROCK and Marina projects, this platform will be a central element to build on the new ideas, technologies and best practices from all innovators working on cultural heritage around Europe, serving as a network of researchers, businesses and end-users. All participants were invited to register and keep on exchanging their projects ‘research and results in the platform. You can find more information about the innovations exhibited at the Fair here and in the report: "Innovative solutions for Cultural Heritage". The recording of the web-streamed sessions is already available on the registration webpage.